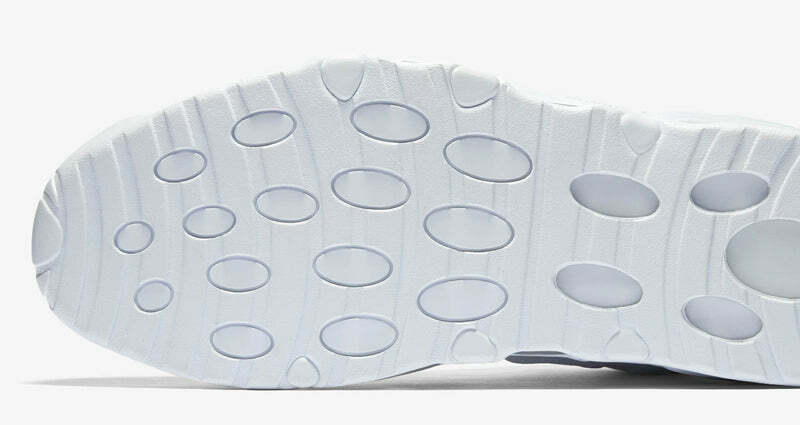 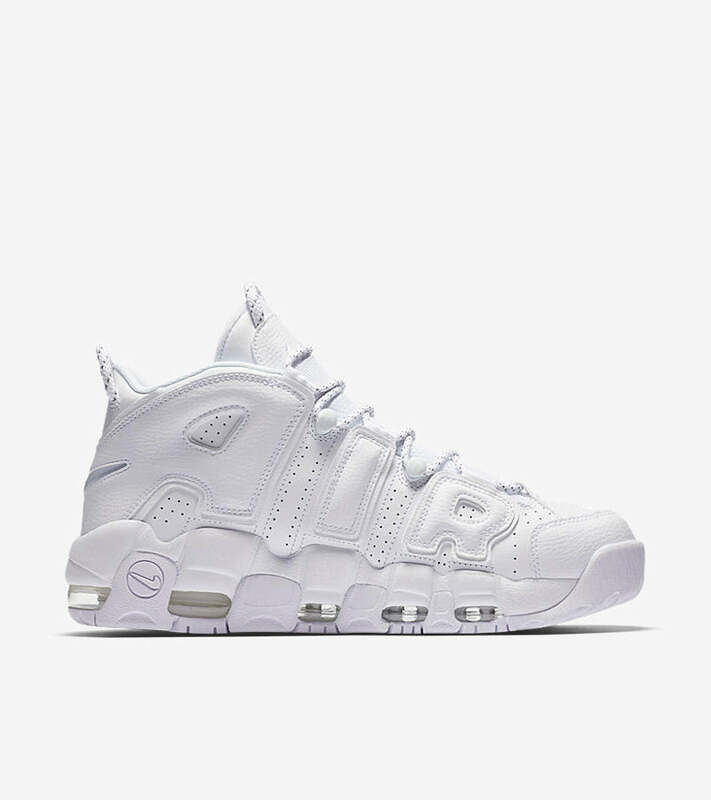 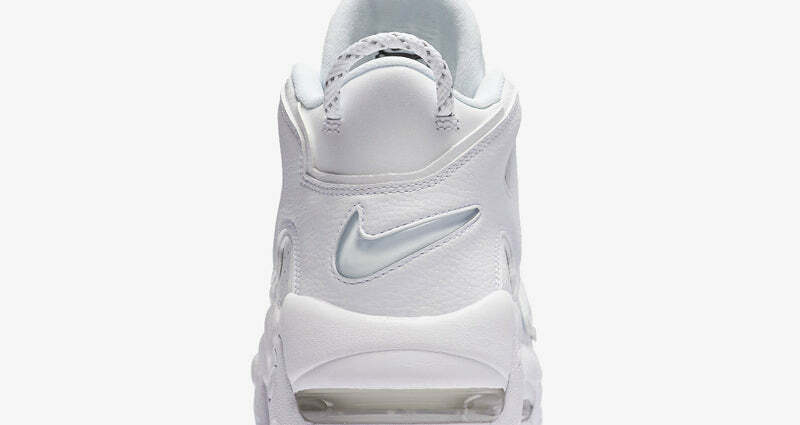 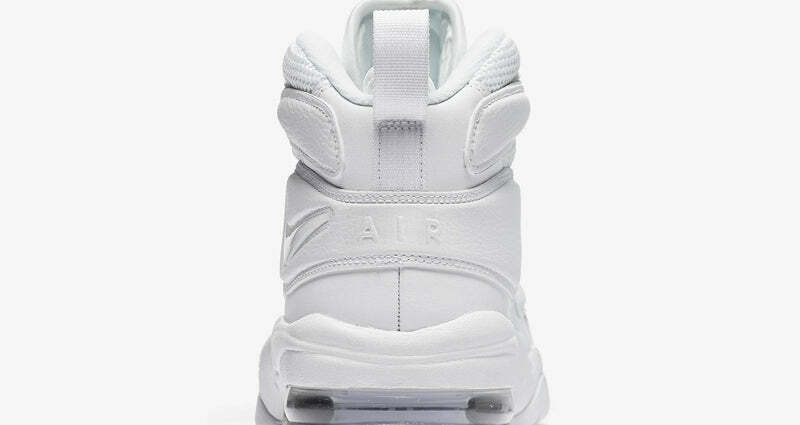 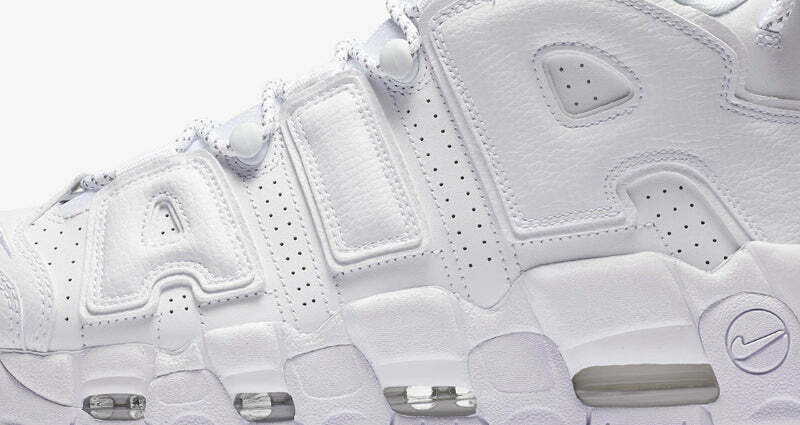 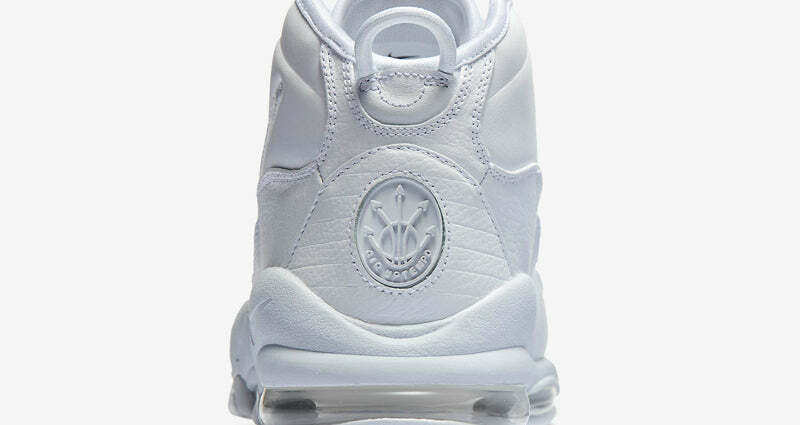 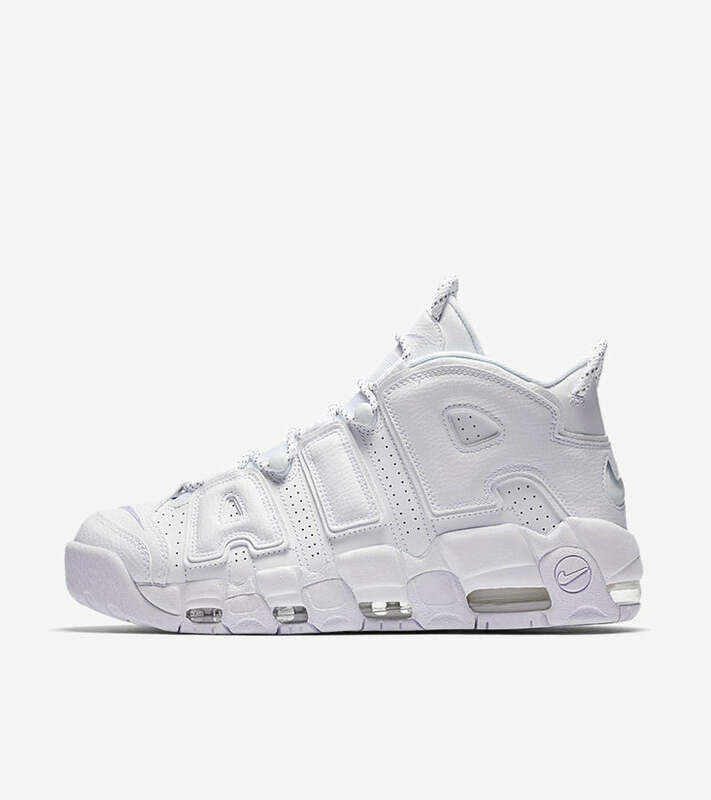 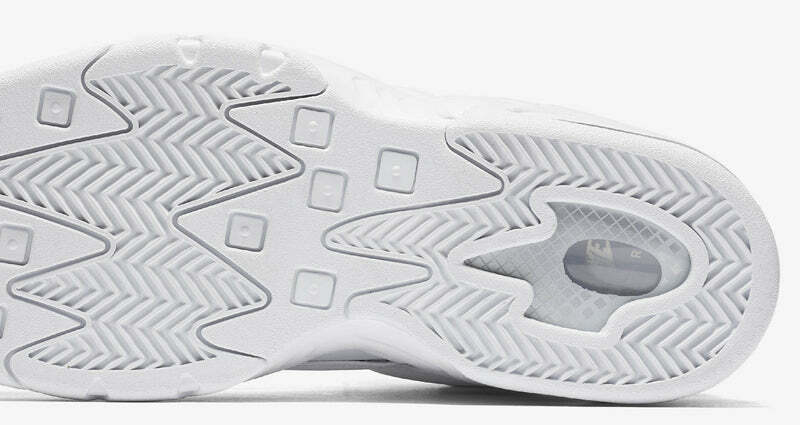 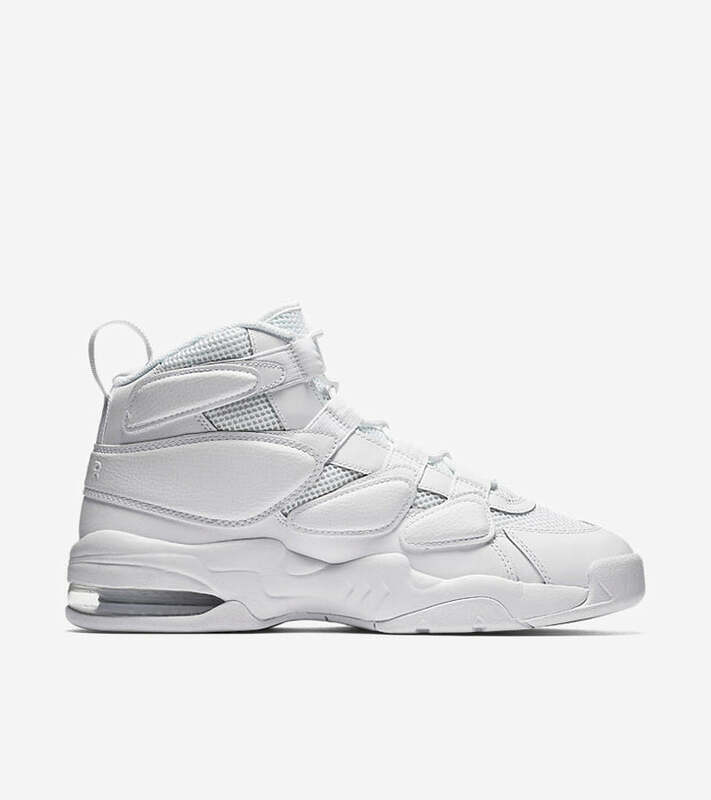 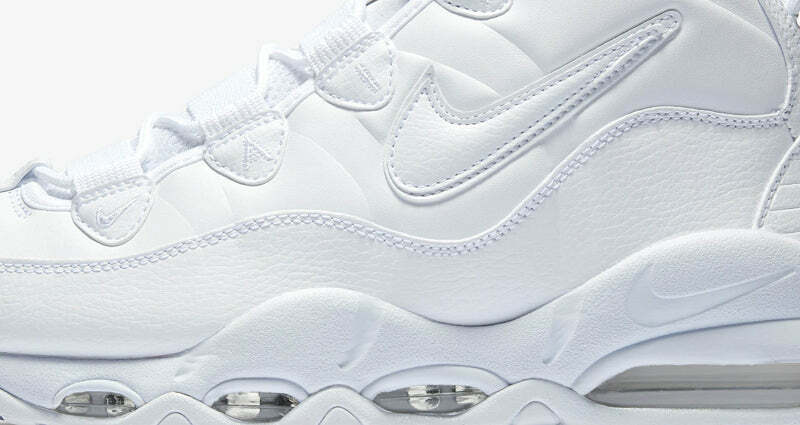 Nike present three versions of the 90’s basketball classic the Uptempo all done up right in white. 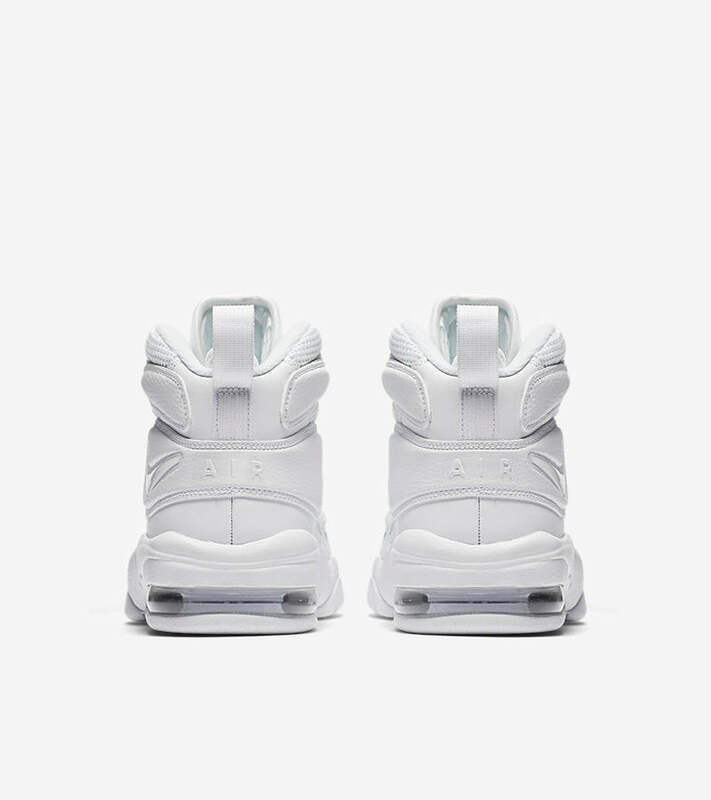 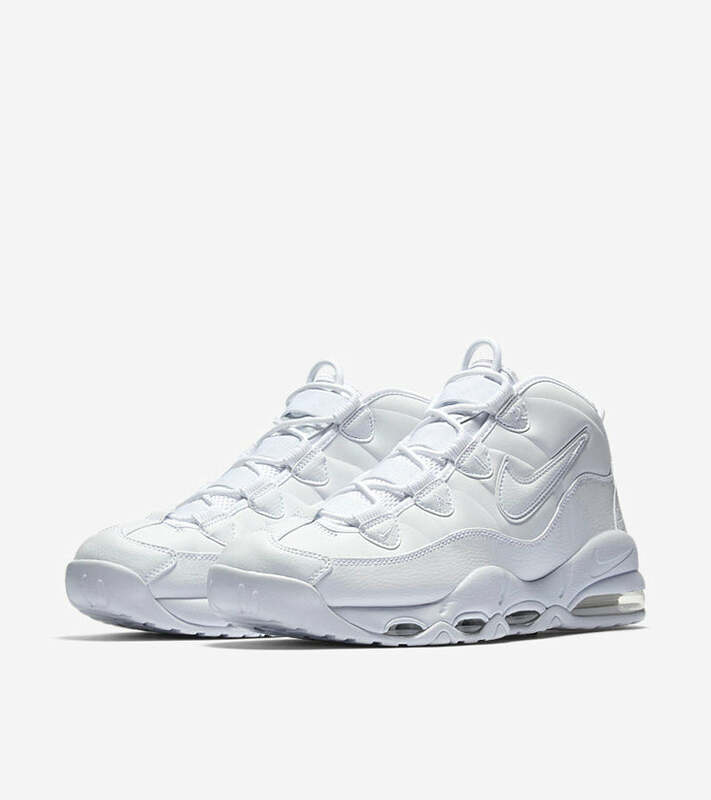 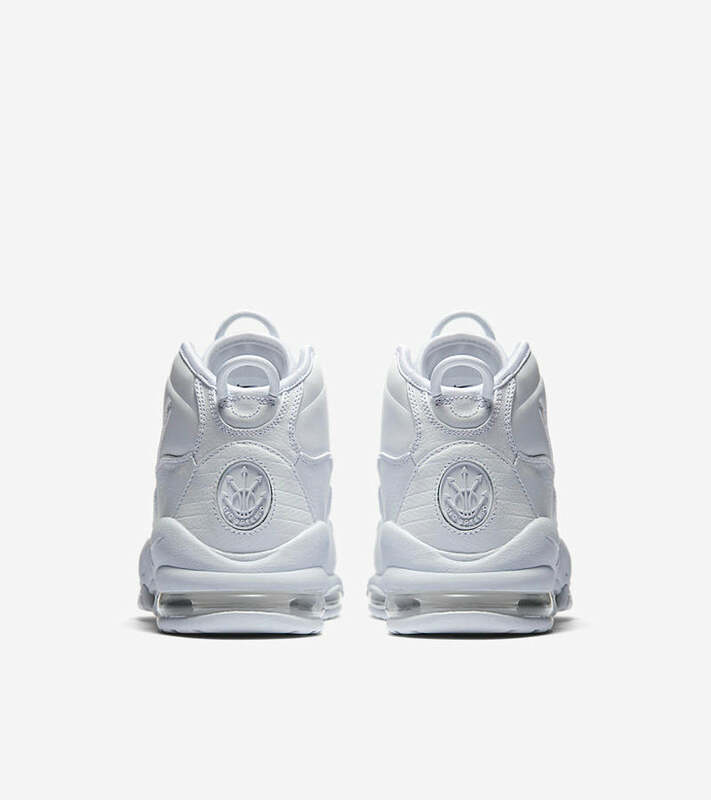 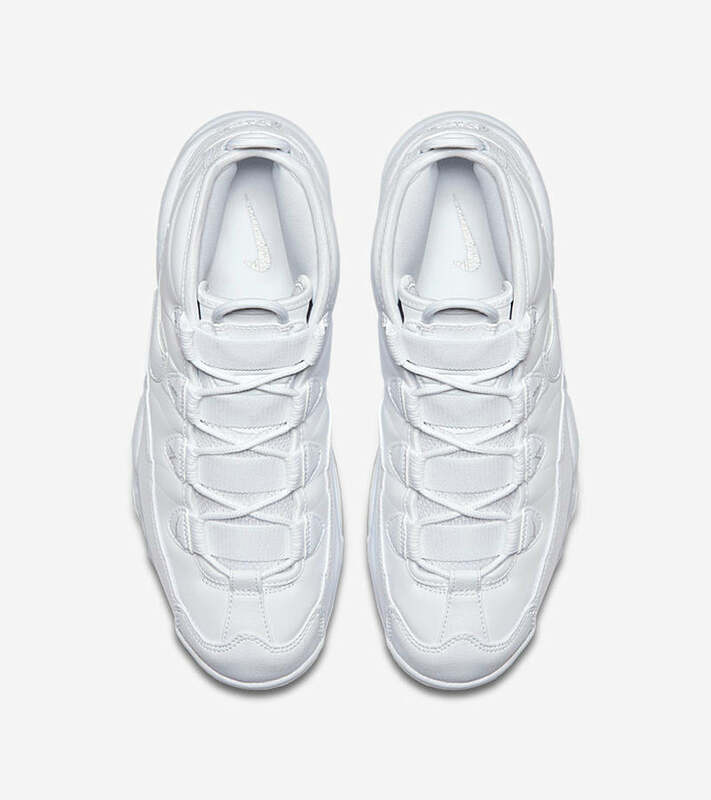 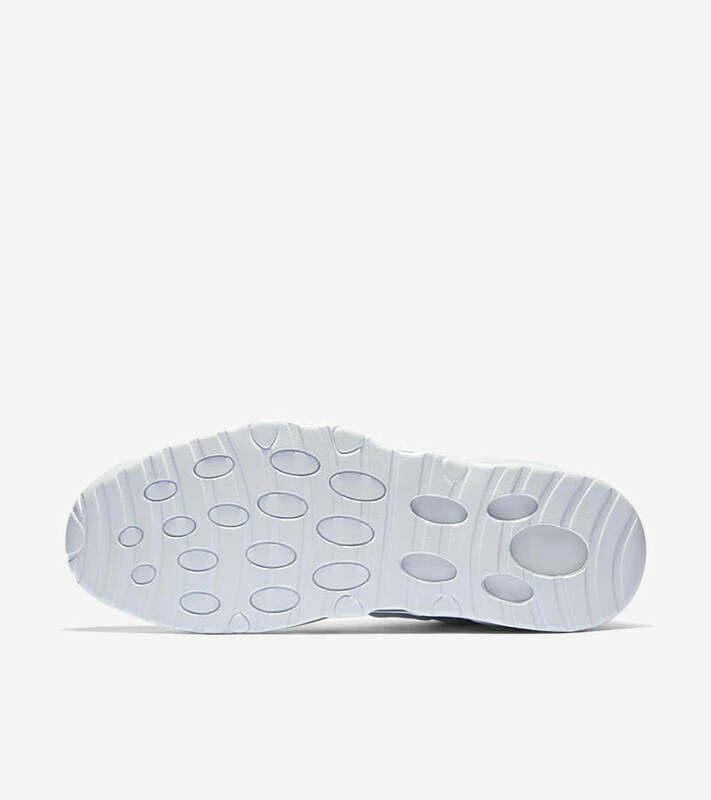 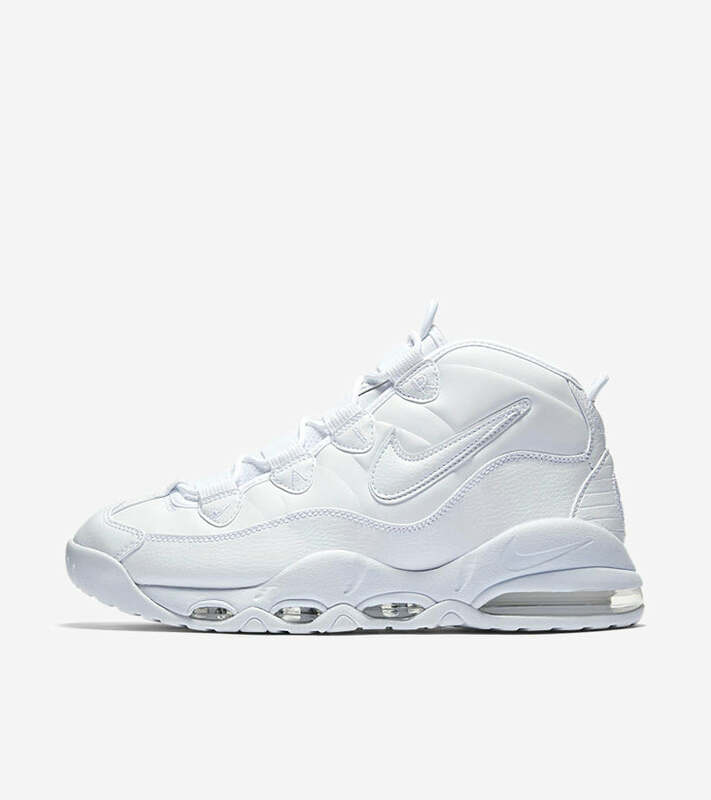 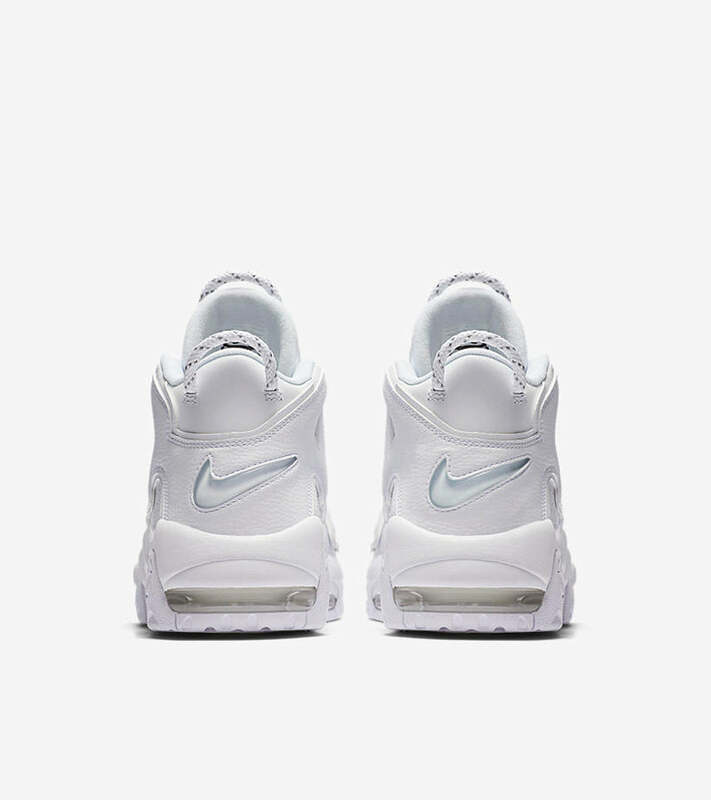 First up and over two decades after it first stormed the court, the Air Max2 Uptempo takes to the streets with a clean, White-on-White colourway. 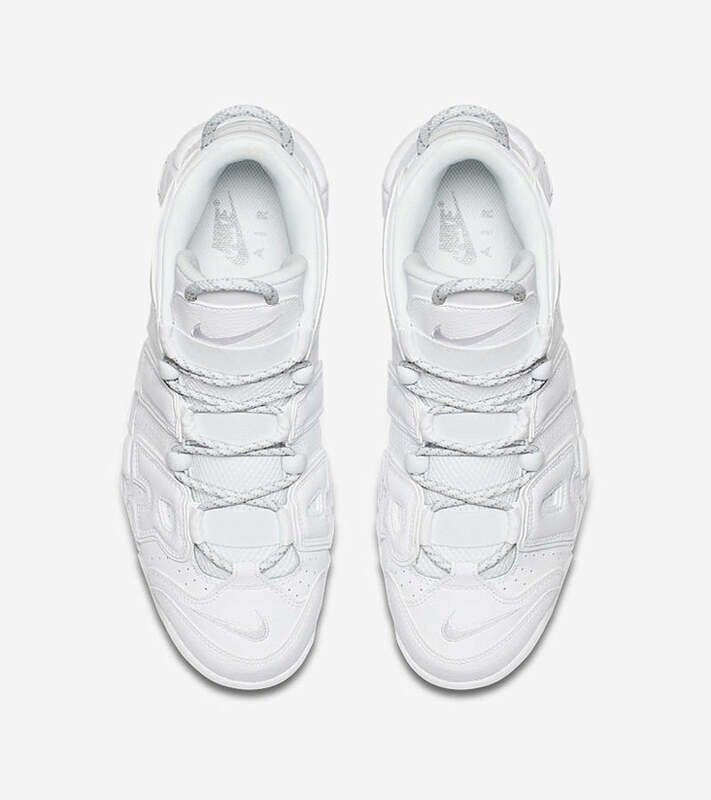 Anything but shy, the Uptempo is the perfection of ’90s basketball fashion, sporting muscular lines and bold Max Air cushioning. 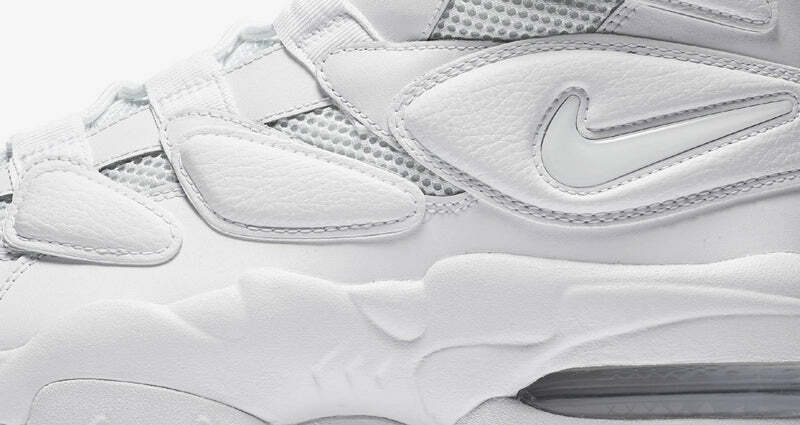 The Air Max Uptempo ’95 is perfectly of its era: a wild design full of muscular curves and bold lettering. 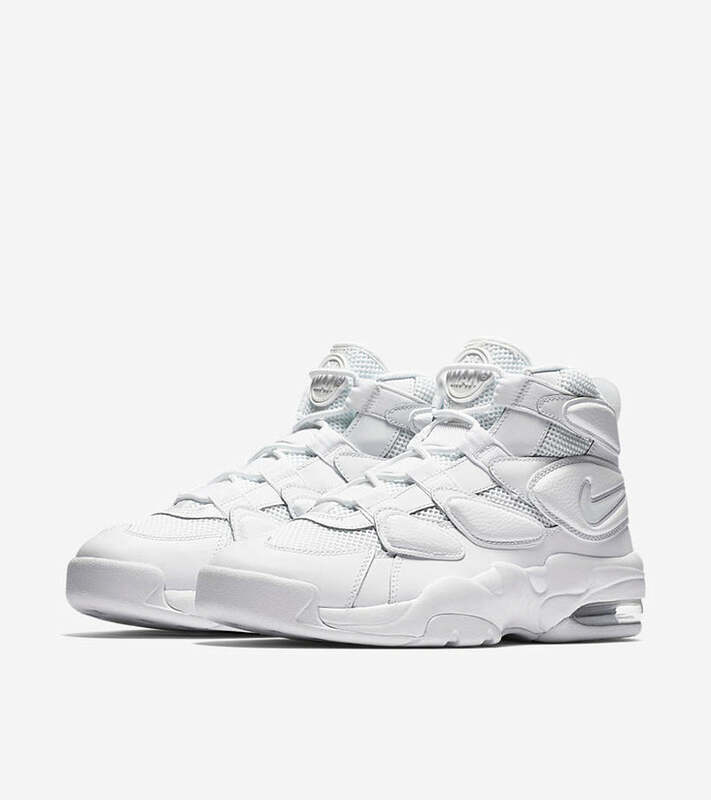 On its debut, the shoe was a hero of the hardwood, but sneaker fans quickly repurposed its timeless, sculptural design for the streets. 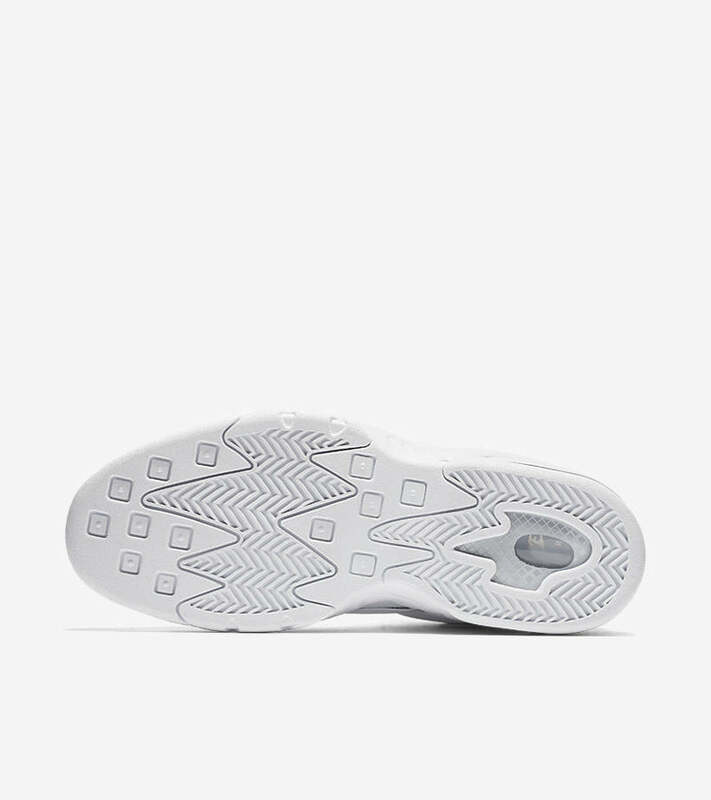 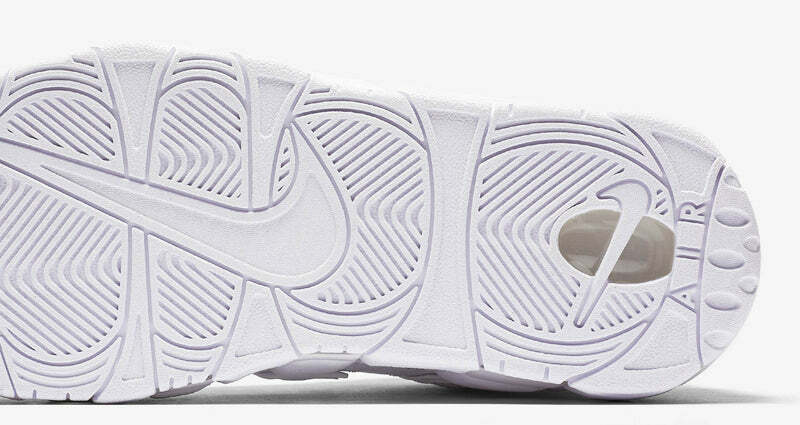 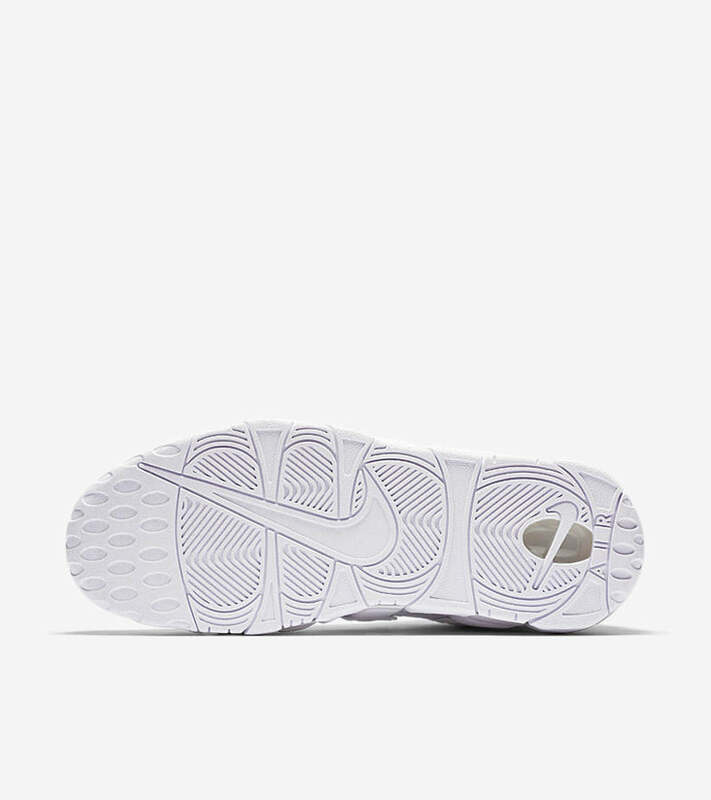 This limited edition reinvents the classic in an ultra-clean White-on-White colourway. 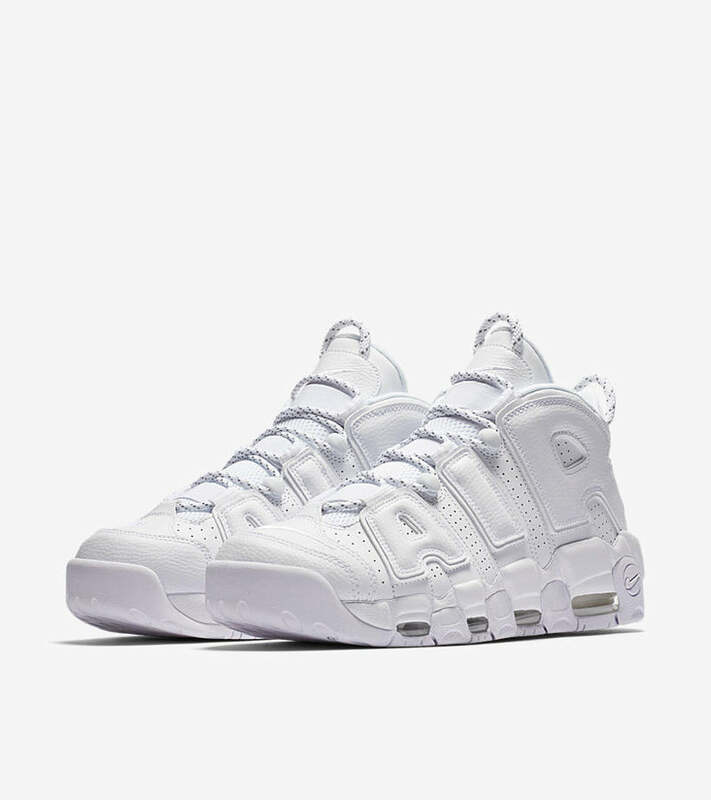 From its graffiti-inspired lettering to its bold, muscular lines, the Air More Uptempo captures the spirit of the ’90s like no other sneaker. 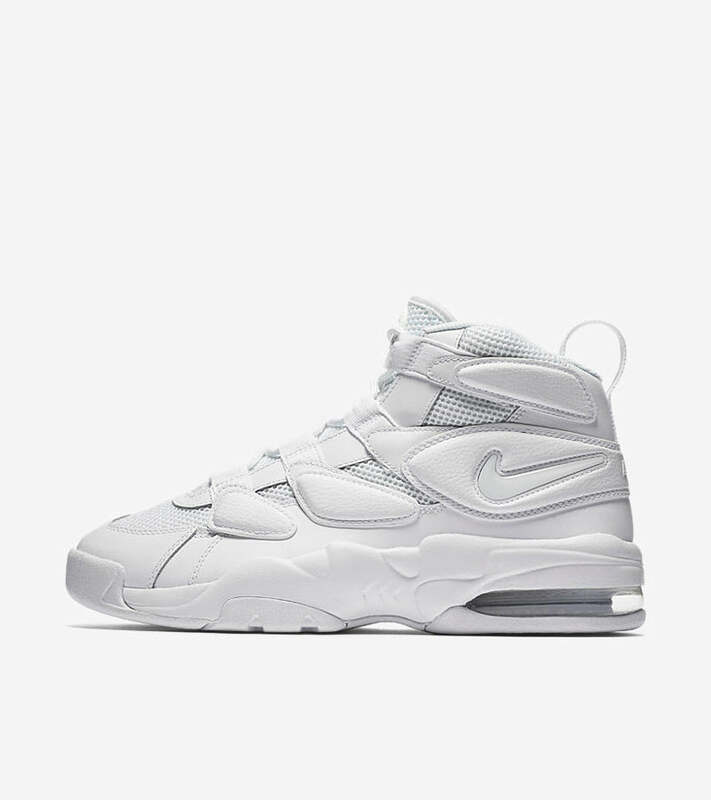 Rocked on the court by some of the era’s great talents, the Uptempo found its ultimate legacy as a ‘statement’ shoe on the streets. 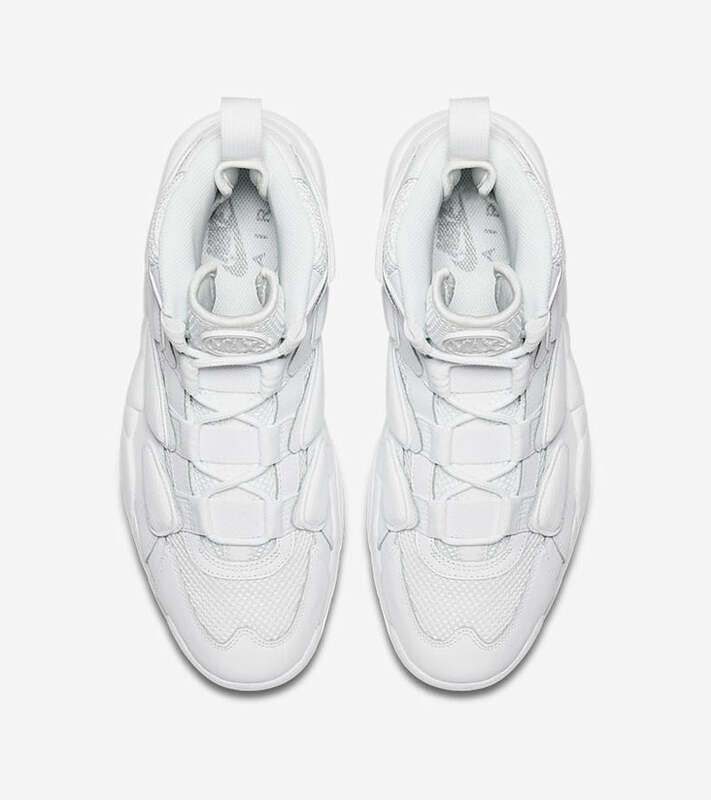 This limited-edition colourway amplifies the look with super-clean White on White that will have them reaching for their sunglasses.